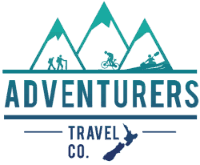 A dventurers has put together a fast paced adventure mountain biking itinerary for those wanting to discover the best of New Zealand’s North Island but only have a week to do it in. Featuring the world famous mountain biking locations and tracks of Taupo and Rotorua, along with an adventure ride (plus extra option for another), remote bush locations, fantastic NZ scenery. What more could you want from a 7 day MTB itinerary? Maybe bike friendly accommodation, your own private shuttles with specially designed bike trailer? Yep we’ve got it covered. Contact us for full itinerary details and price. Contact us for more information or if you want a bespoke version of this itinerary. A dventurers prides itself on creating fast paces, independent holidays. It’s your holiday and we can adapt it to your groups needs and abilities. Don’t be constrained by random peoples’ abilities and fitness.